"My name is Roy Bridges. My wife Irene and I live in Savannah, Ga. 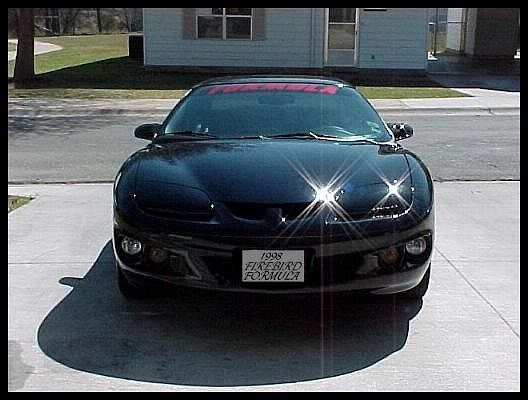 This is our 1998 WS6 Ram Air Trans Am. 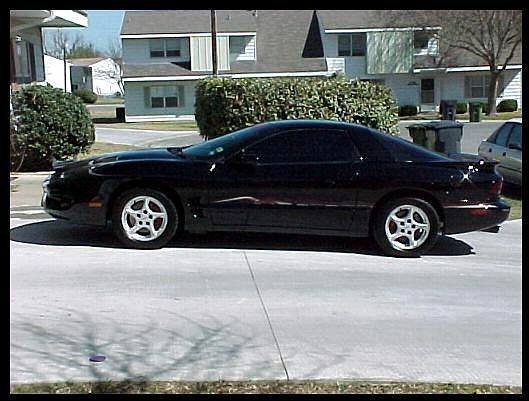 Its equipped with the LS1, 5.7Liter engine, auto transmission, 3.23 Ratio rear performance axle, T-Tops, Lumbar adj bucket seats, air, CD player, all power extras, 17" High Polished Wheels, High Speed Rated 40ZR17 Tires, Power Steering Cooler and of course the Ram Air Package. This is without a doubt, the best handling car we have ever owned or driven. I'm sorry to say, unless you have the pleasure of driving or owning this car, you may never know the joy we experience every time we get into this car and take off." 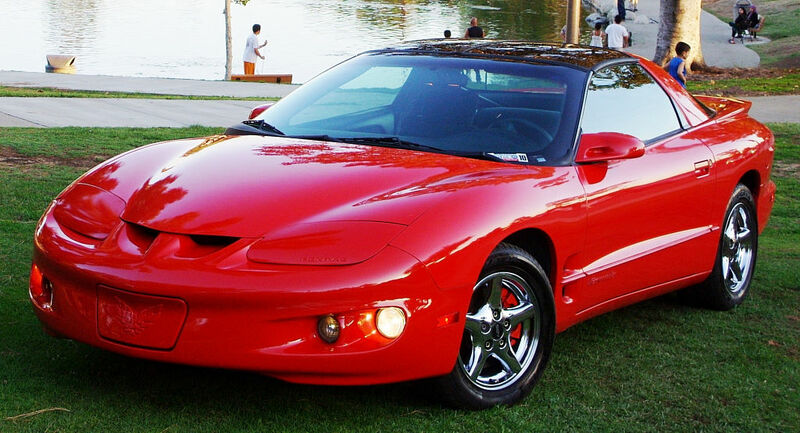 Roy is also the original owner of a 1980 Trans Am. 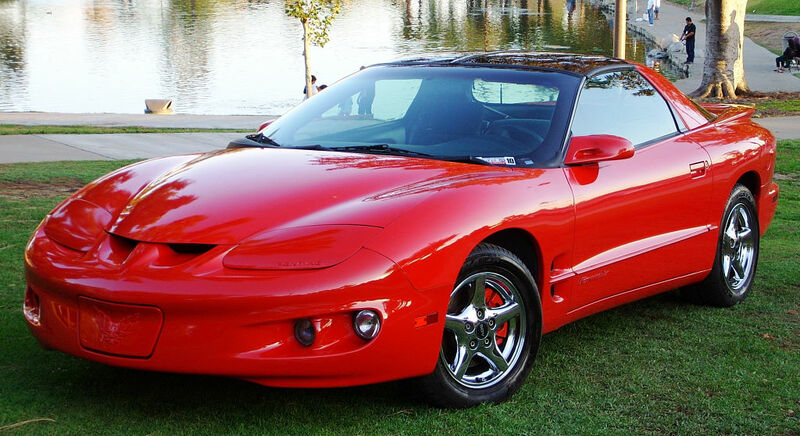 See it at 80' Firebirds Lot#2. 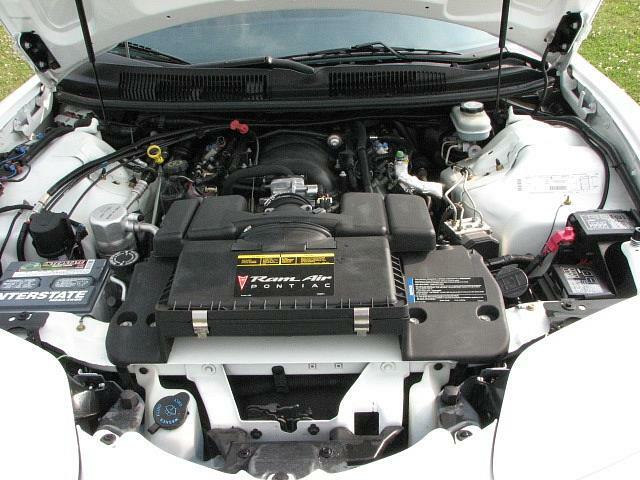 John estimates his new hp rating is around 340hp with mods. Pretty incredible considering the numbers the Firebirds from the late 60s early 70s produced. I'd be real heartbroken to have this one sitting in my driveway!! 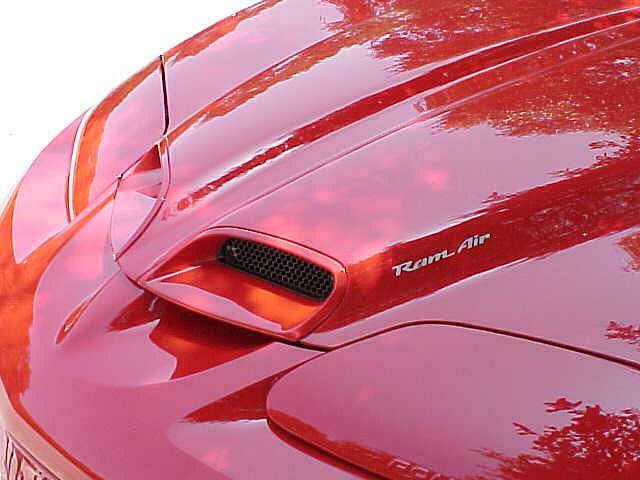 Only 2700 Ram Air TAs were made in 1998! 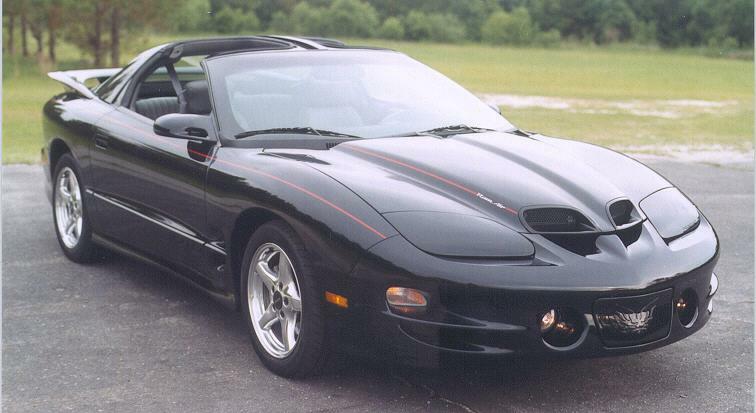 "Here are a few pictures of my Black 1998 Firebird Formula. 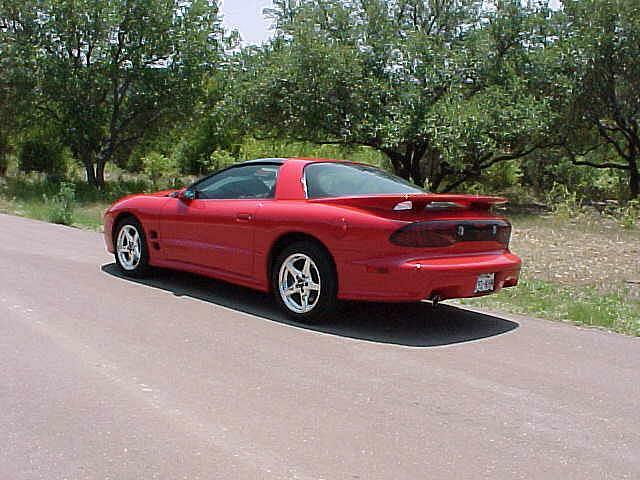 I had to Drive all the way from the Waco, Texas area to El Paso, Texas to get it as GM was on strike and it was getting harder and harder to find a M6, (six speed) Formula. My current best time in the 1/4 mile is 13.42 I have only done a few mods to the car which include, Free Ram Air, K&N Filter Charger System, Flowmaster exhaust system, EGR mod, and MAF mod. 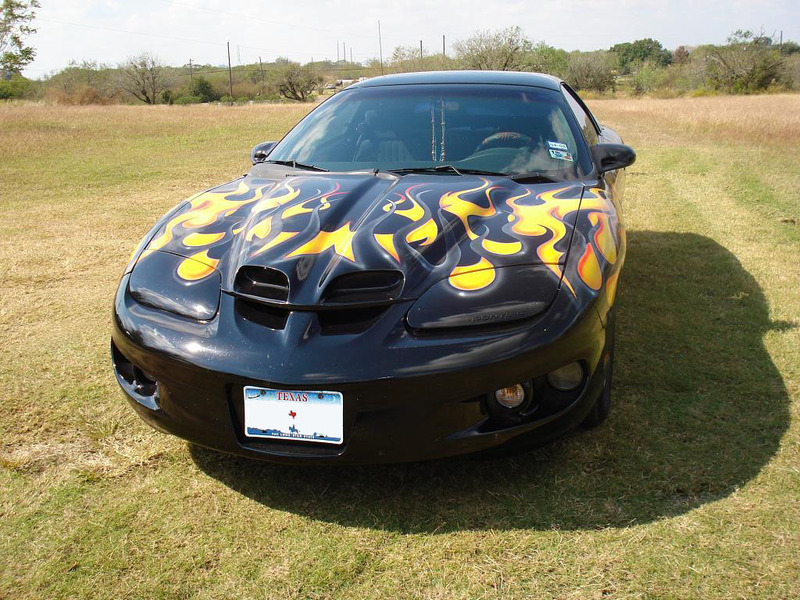 We have several Black TA's, Formula's and Firebirds in the Killeen area and in the Killeen F-Body Club, so I added some decals to step the appearance of mine from the others. 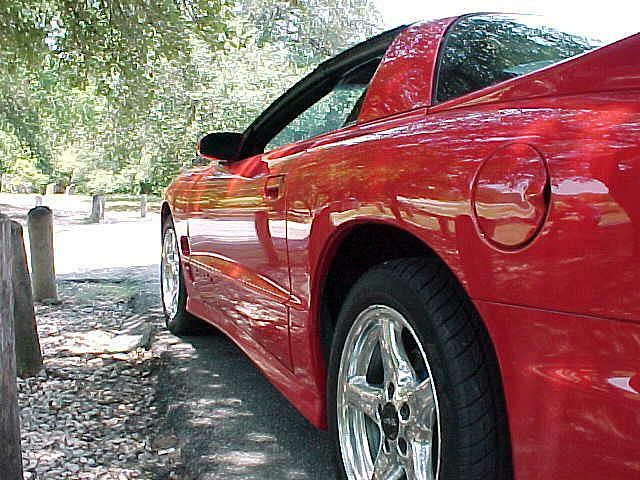 Also, GM left a lot of flash metal on the brake calipers so I spent a total of 36 hours of grinding and wet sanding and painted them with five coats of cherry red flake and 10 coats of clear...a lot of people of F-body drivers ask me if their after market. GM also left some work to be done on the stock exhaust tips, I like to keep the car looking like it hasn't been touched, So I had them put the stock exhaust tips back on and I painted the tip which was gray ugly cast a black metal flake to match the car and shined the rim around the end with a dremel to a chrome looking gloss. " "Hi, my name is Kyle Donohue and I live on Long Island. 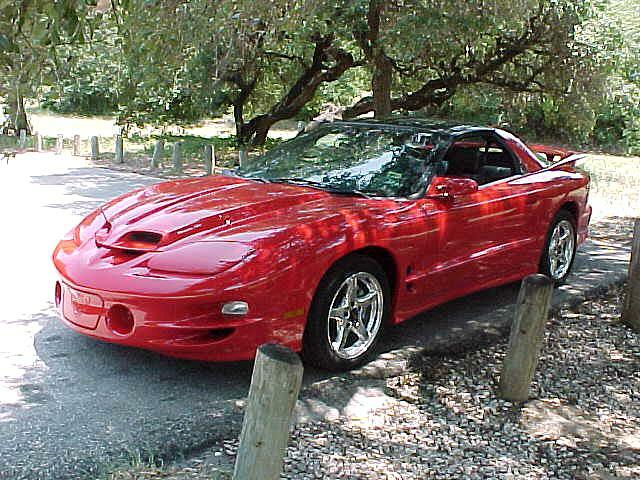 I have owned two Pontiac Firebirds. In 1998, after my first car finally died, I purchased a used 1987 Formula. 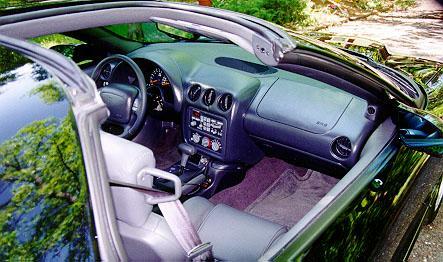 It was blue with gray interior, 305 4 barrel carb, auto (3 speed with overdrive), power windows. 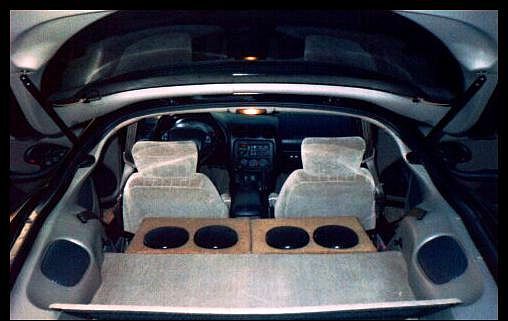 I made a few mods to it (new stereo, speakers, amp) before selling it in 2001 after purchasing my second Firebird. 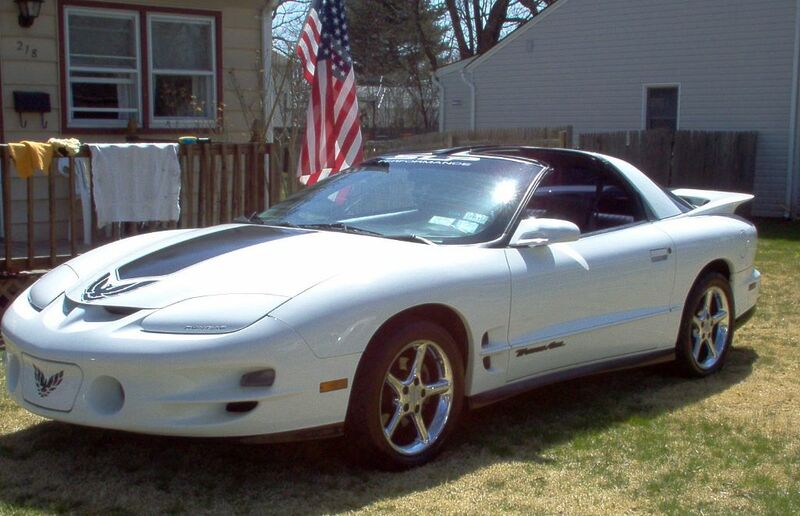 This is my “pride and joy”, a 1998 Pontiac Firebird Trans Am. 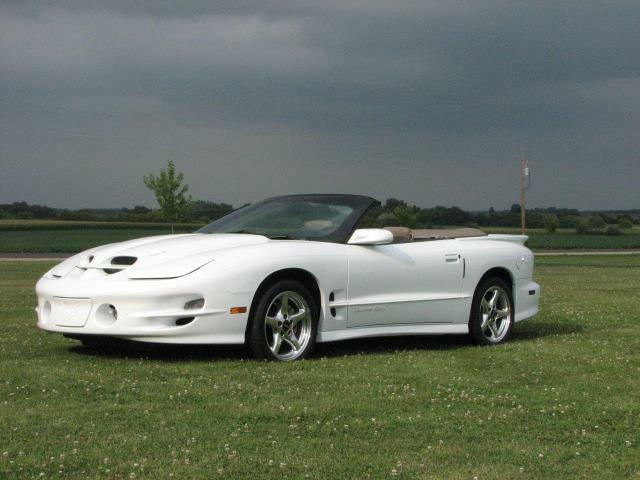 I was looking at purchasing a 10th anniversary Firehawk (but was not able to afford it) and was ready to buy a 2002 black Formula from the local Pontiac dealership when this beauty caught my eye in the used car section. 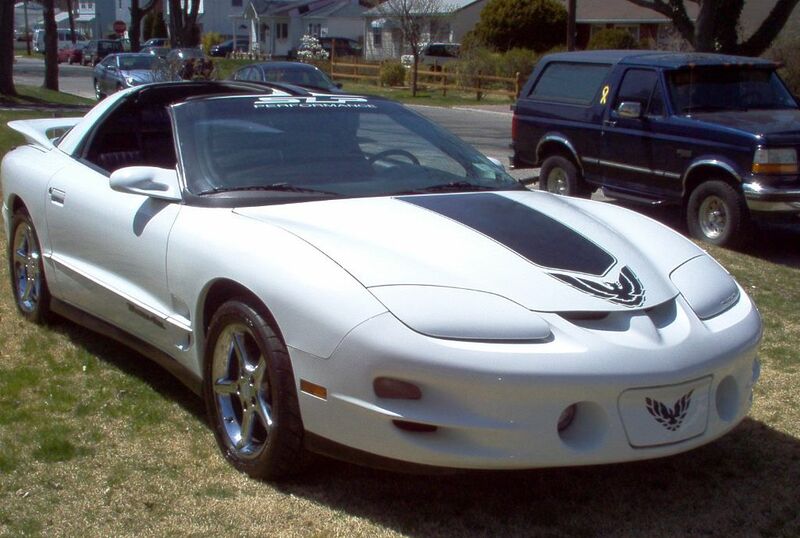 I was told by the dealer that the paint (arctic white with the black racing strip) was a “one of a kind”. Since purchasing it in August of 2001, I’ve added a few mods (see below). I took ownership with about 41,000 miles on the odometer and since then, I’ve only amassed another 33,000 miles! “White Lightning” never sees snow or ice; I drive a 1994 Bronco from November to April. 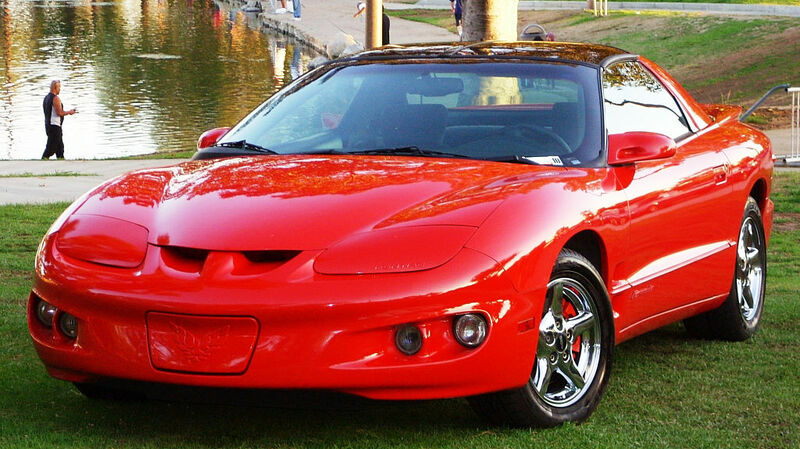 Hope you enjoy…"
"My 1998 Pontiac Firebird is my baby. 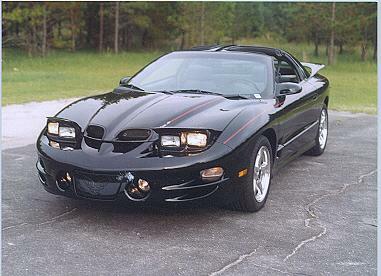 It's a 3.8 v6. 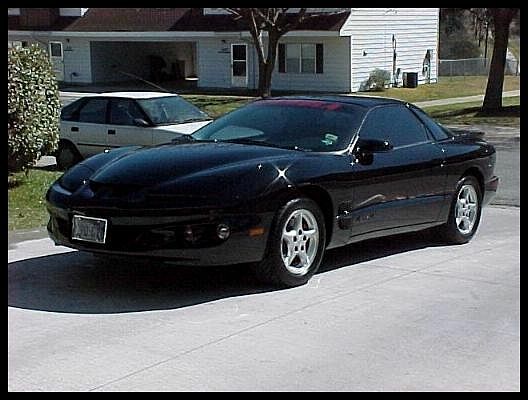 I bought it used, it was just a regular plain black car with a stock hood. 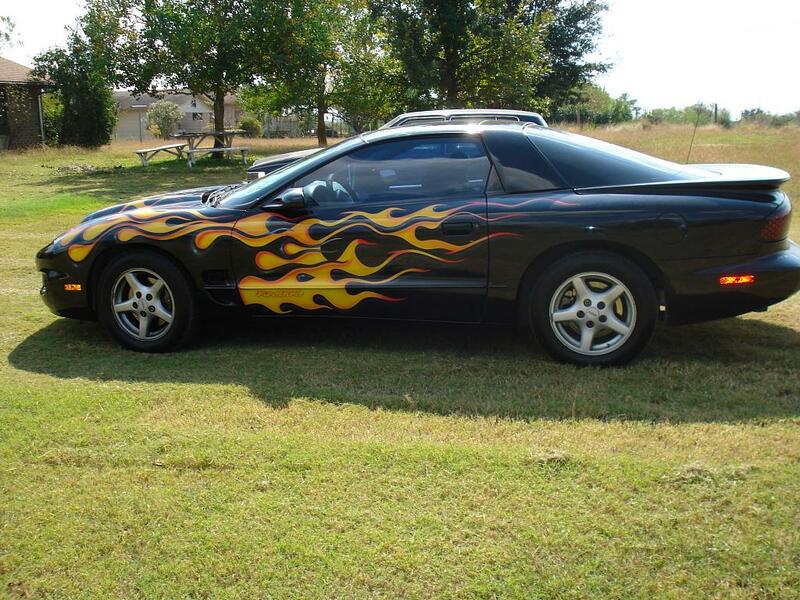 After a few months or so of having my car I was wanting flames put on it. I looked at many flames, but none that really caught my eye, so I took several pics of different flames and pieced them together. 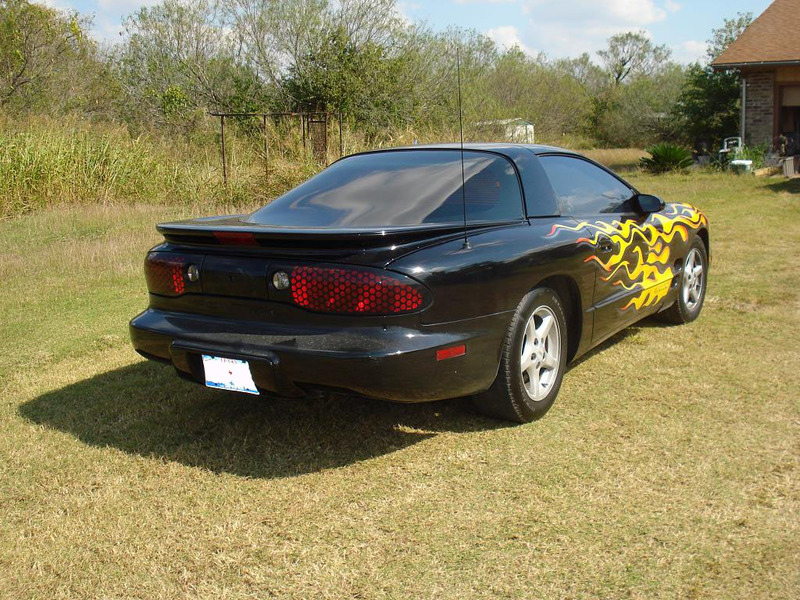 For Mothers Day my husband told me I would get my flames. 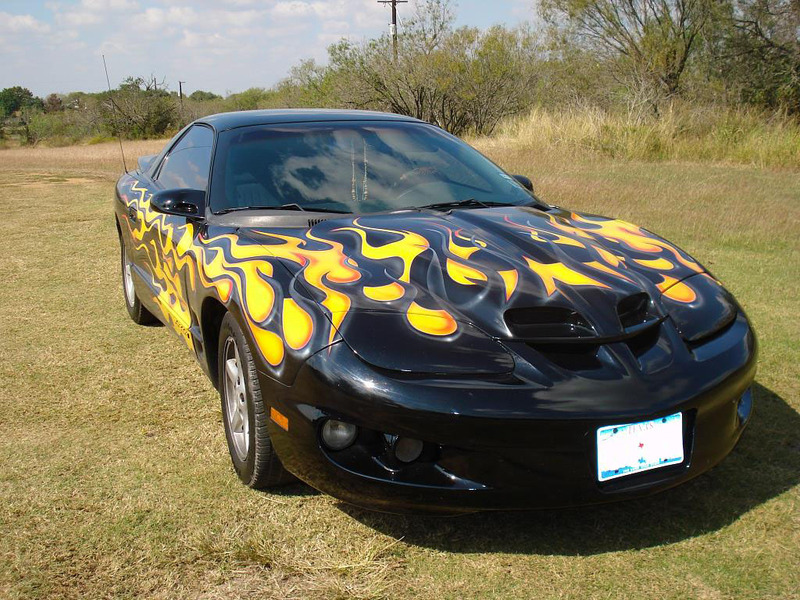 I took my pieced together flames to my uncle and asked him if he could make it happen. He looked at the pics for a bit and then said he could. 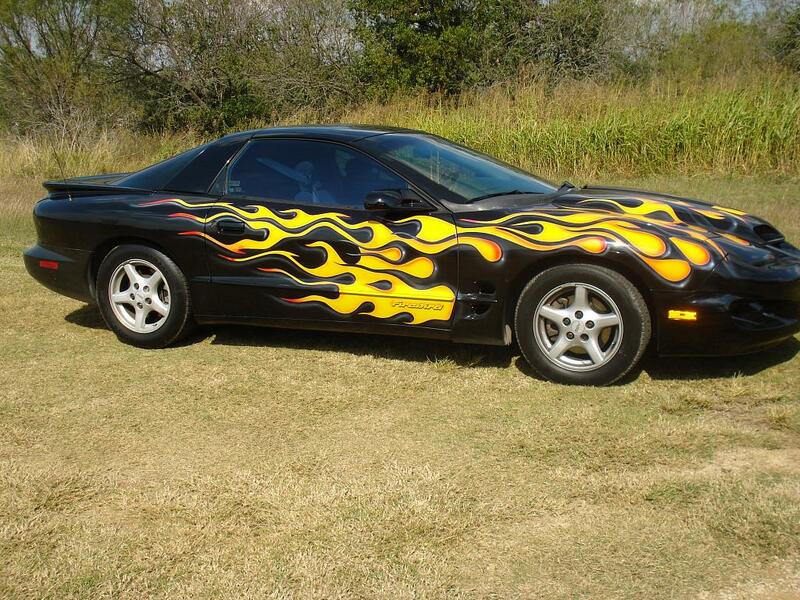 YAY for Mother's Day my car was sent off to my uncles shop, where my flames were air brushed and pin striping was done. I also got an after market Ram Air Hood from Summit Racing along with a FlowMaster. My baby is turning heads left and right. I've had many people ask if they can take a pic of my car and have also caught people taking pics." "Hi, my name is Gene Vegter. You've got a great website! 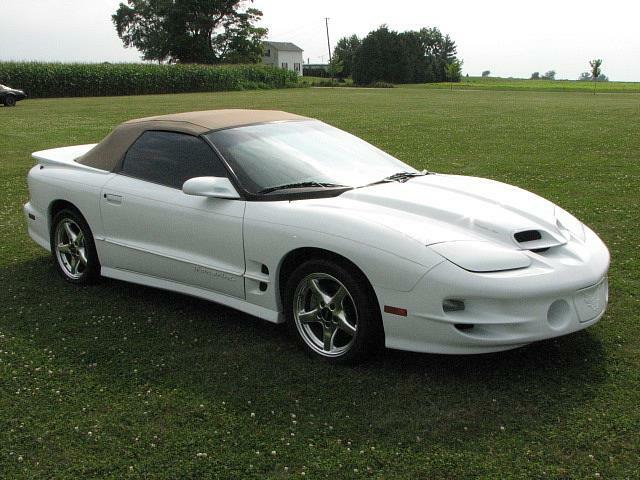 I've attached some pictures of my 1998 WS6 Trans Am Convertible. 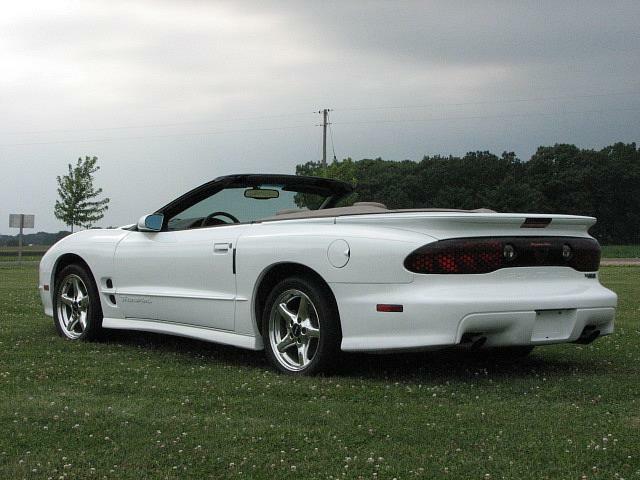 They only produced 339 WS6 convertibles in 98 and of those only 47 were white. Seeing as most of those had white tops and interior I think she is pretty rare. They made no Firehawks in 98 either. It's ASC conversion number 989. The car is pretty much stock. 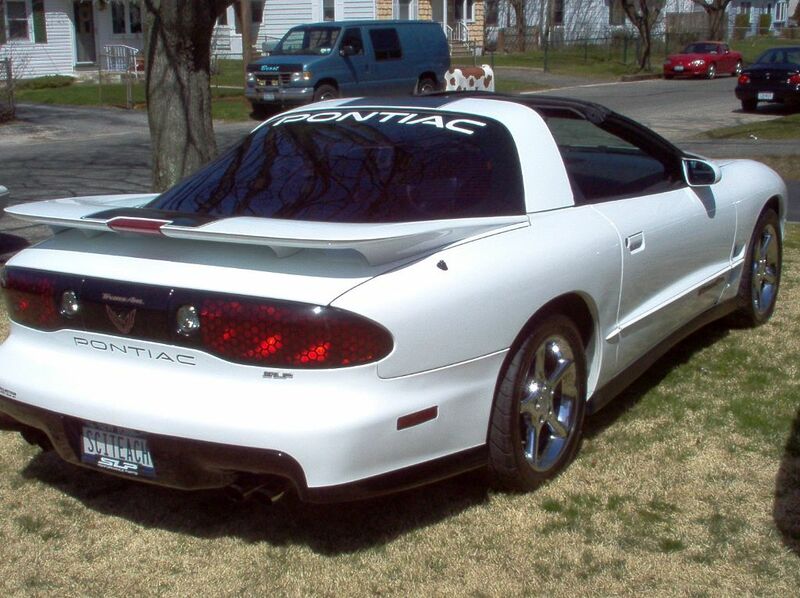 The mods include aftermarket stereo, a single ascent pinstripe on each side, dual exhaust and tinted windows. 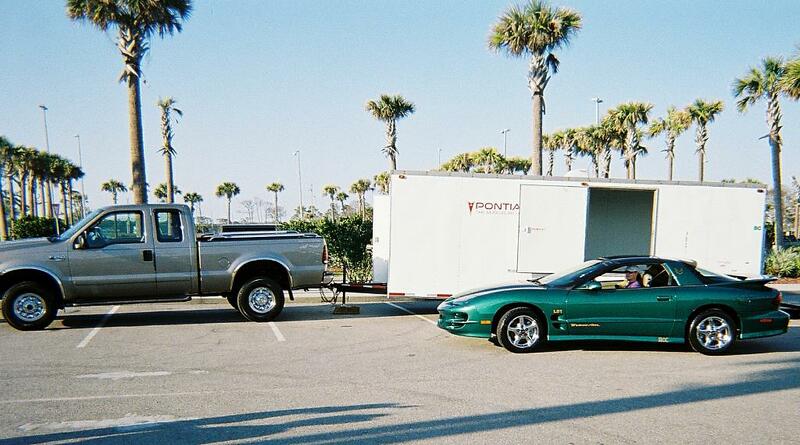 It has only 34,000 miles and just goes to a few shows and back. I'm from Wisconsin and was always into street rodding. 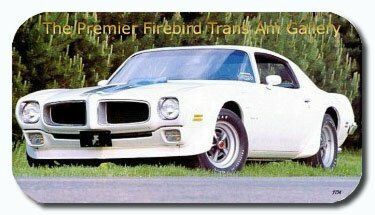 I fell in love with the last T/A's and when Pontiac quit making them I sold my '29 Ford Roadster and started searching for my T/A. It took a while to find this car as this was the color combo I wanted. I found it on the net, flew to Denver and drove it home. That was three years ago and I've put 4000 miles on since. In a few years I plan on bring the car completely back to stock." 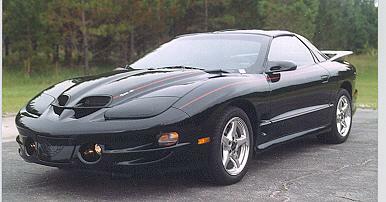 "This is a '98 Trans Am. 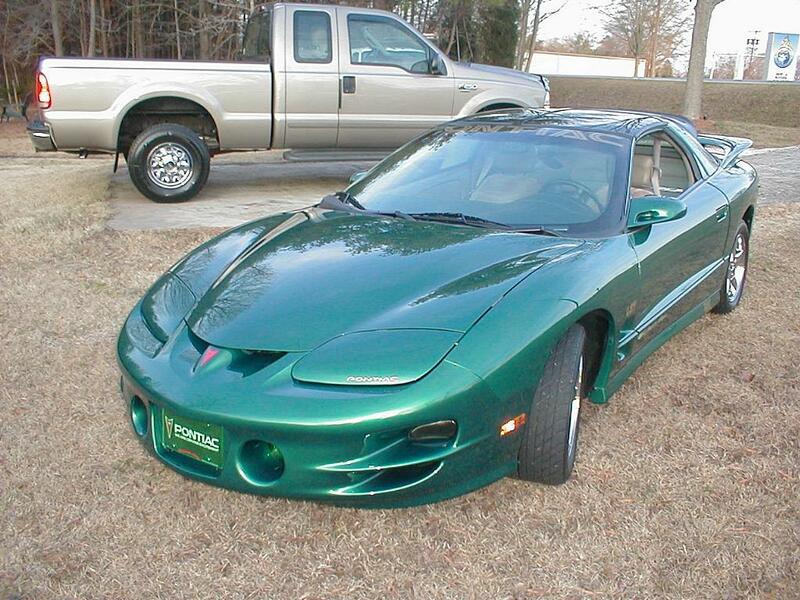 Its in the rare color of Bright Green Metallic. 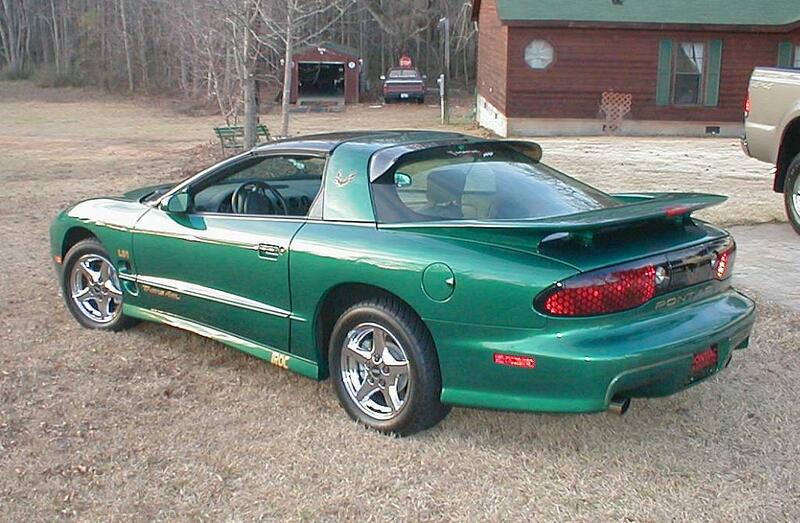 There were only 98 made in this color. With my options and interior color, it my be even less. It has the 6-speed manual trans. 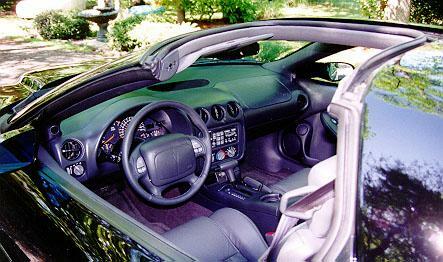 The interior has the Taupe leather. 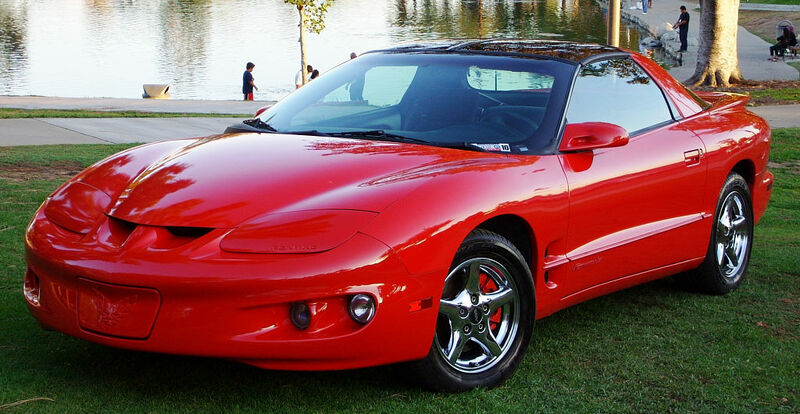 It has the traction control and chromed aluminum wheels option. The only thing that I have changed from stock is the muffler and tips. It now has a Flow master with polished 3"tips. I added the rear window deflector and the sail panel birds with the stripe. The pics I have on here are with some of the other decals that I have since removed. I belong to the POCI. 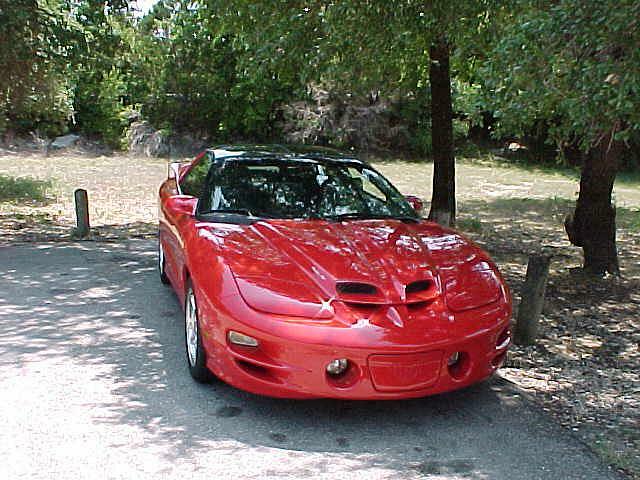 I'm also VP of the Firebird and Trans am chapter of the POCI. Check out the site: (www.POCI.Org) or (www.geocities.com/pocifirebirdgroup). Come and join us." 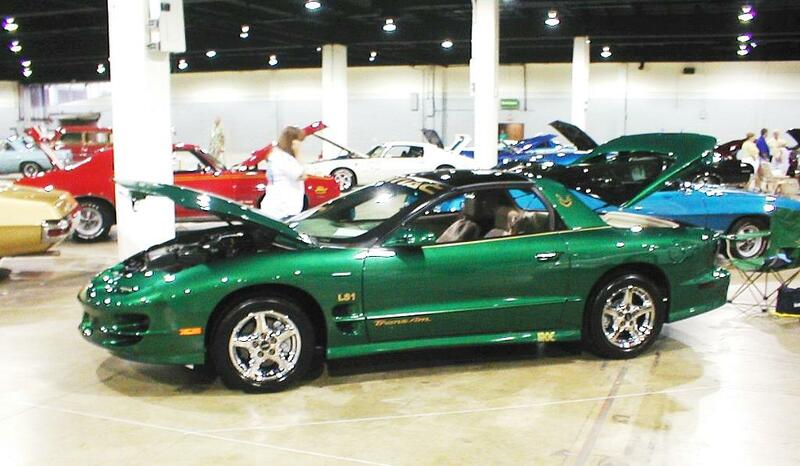 "I saw this 1998 Firebird Formula LS1 in May of 2007. 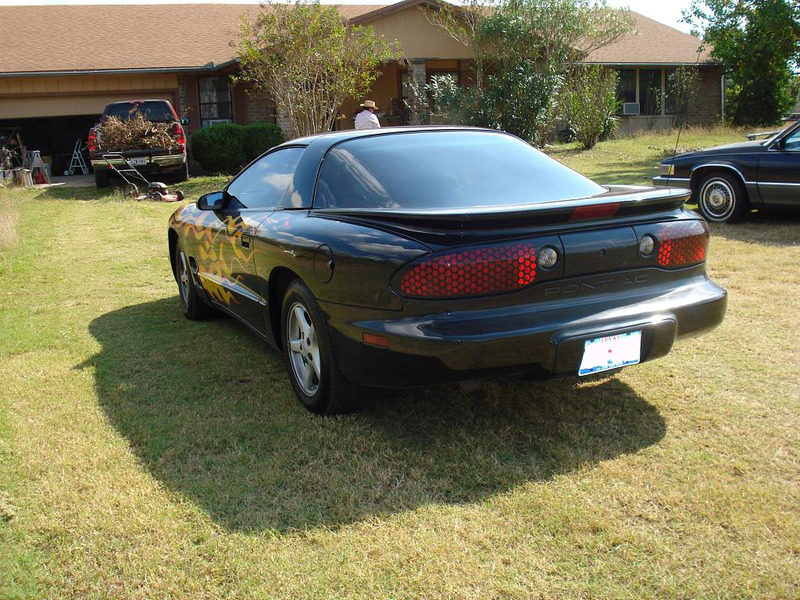 After talking to my son, we agreed to go half and half on this car. 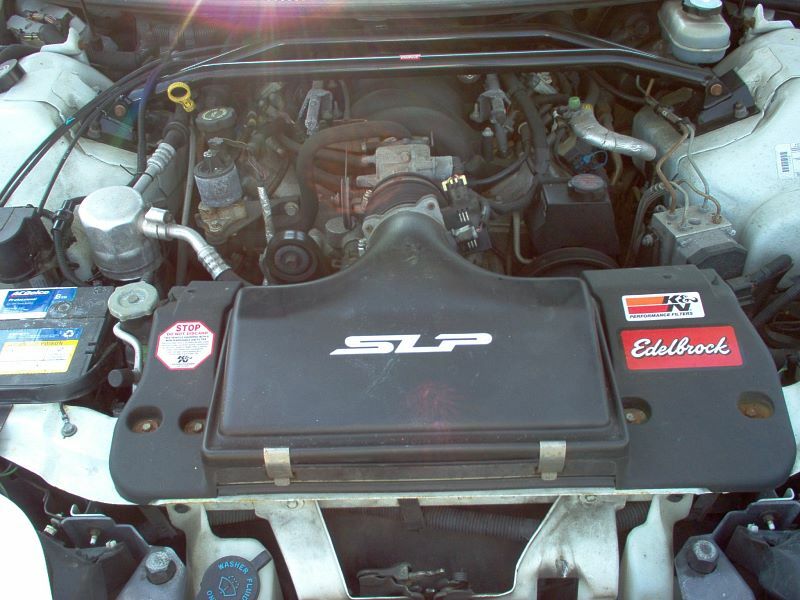 He has been driving my older Bonneville SSEI supercharged car, but his Trans Am has the LS1 engine, and he loves that engine. This car has 88K original miles, and always dealer serviced. The owner spent over 3K on the car last month, changing all belts and hoses, and serviced all items like new brakes, air, and required maintenance items. My son has been driving it to school the last two weeks. Keep posted, cause even if my son says he is not going to change anything, I say that all the time, and I always do~!"